I provide editing and proofreading services at reasonable fees, which may fluctuate depending on the amount of work to be done on the manuscript. I will do a free sample of the first 1,000 words, no strings attached. To contact, email me at hannahrossfantasy [at] gmail [dot] com OR visit the Facebook page of Word for Word Editing. "Thank you, Hannah, for doing a remarkable job on this novel. Your attention to detail and eagle eyes let nothing slip by." - P.F. "Thank you so much for all your work - you're a star! I think you improved dramatically the quality of the book, you really made it come to life." - A.M. This means there are a lot of things to distract me from working on my most recent project, "Wild Children". Furthermore, as I've mentioned before, we hire no maids or nannies here. It requires a lot of focus and self-discipline to still stick to my 1,000 words a day (of creative, new, invested writing for my new project). I do hope that for "Wild Children", I will be able to land a traditional publishing deal - one that will enable me to focus on writing without worrying about promotion, networking and design. With today's market, the chances are slim, but one can dream, right? Also, starting from today you can also find me on Facebook. There isn't much on my page yet, but hopefully there will be soon. I realize this isn't exactly a fair comparison, but for me, blogging to writing is like fast food to gourmet meals: when I don't have the patience, energy or inspiration to cook (write) anything that would require true dedication and commitment, I dive into the freezer for a pack of goat cheese ravioli, quickly whip up some butter-and-garlic sauce, and serve. Not to say that ravioli with butter-and-garlic sauce isn't good. It's actually something that is usually met with cheers around here. A lot better than sweating for hours, concocting some elaborate dish, only to have my kids turn up their noses at it. What am I getting at? When I'm not blogging, you can be pretty sure I'm hacking madly at the keyboard, working on a plot twist of my latest novel. Or changing a diaper. Recently I've been busy working on my latest project, a YA futuristic dystopia called Wild Children. True to my system, I'm putting out a 1,000 words a day. It's a stretch, even with weekends off, but so far I'm pretty happy with that and hope to finish the first draft shortly. The book is planned as a single novel of about 100K words. Some excerpts will hopefully be published soon. 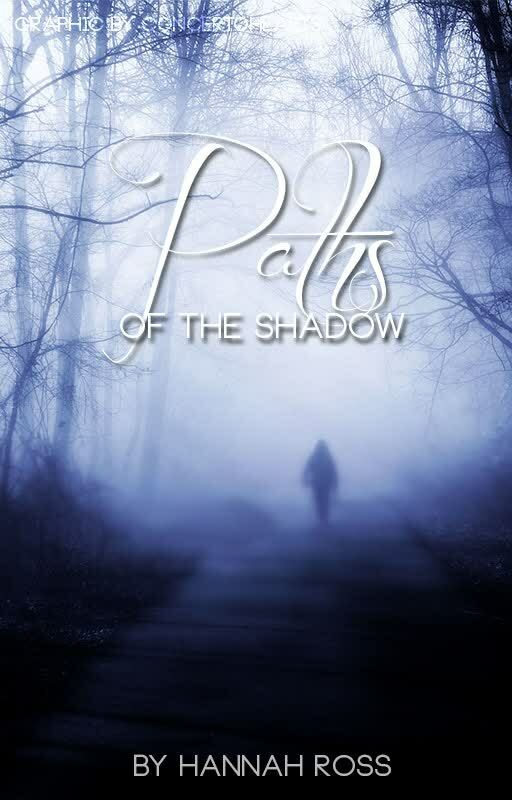 I'm also doing revisions and editing on Paths of the Shadow. Of course, this doesn't leave much time for blogging, catching up with friends on Facebook, answering my emails or breathing. Wild Children is a challenge because it's a change of genre. Many times, I've heard this bit of advice to beginning authors: choose your genre, preferably your sub-genre, and stick with it, so that when readers see your name, they know right away what to expect ("John R. R. Smith? That's epic medieval-styled fantasy"), but I find that terribly limiting. So, though I've spent many years in the land of Tilir and am most comfortable there, once a good but different idea grabbed me, I went with it. Writing science fiction is more difficult than writing fantasy, first and foremost because there is more research. I need to stop, think and check facts often, unless I want to make a fool of myself in even the most basic things (such as, what if a particular kind of plant doesn't grow in North America?) Also, the language, especially the dialogue, is by necessity different in a modern setting. I do not mean to say I'm leaving Tilir and its world forever. The Quest of the Messenger trilogy has a spin-off which I have currently put on hold, because there is only so much one can do at a time, but which will be eventually completed. More projects might come in the future. So, I've been asked, who is the villain in Paths of the Shadow? Is it Dankar, the charming and manipulative wife-murderer? Or is it Jadine, who meddles with dangerous sorcery and runs out on her husband and children because of some lofty ideas? 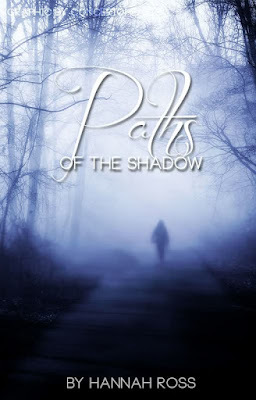 I've thought about this and reached the conclusion that, in contrary to the tradition of epic fantasy, Paths of the Shadow does not have a clearly defined villain such as Sauron, Lord Voldemort, or other evil ones we love to hate. It has some dark forces which cannot be called completely evil, either - depends on how they are used. It also has complex characters with complex motivations. I find I prefer this style of fantasy these days, ASoIaF-style. Of course, there is also something enchanting in the pure moral simplicity of Lord of the Rings, say. But I have this problem. I become attached to my bad guys (and girls). I often think of their motivations and excuse their actions in my mind. From there, it's one short step to making them not-so-bad guys! You can't love Lord Voldemort. He's not human enough for that (although we do get some of his background and motivations in The Half-Blood Prince). But you can understand, justify and even pity Cersei Lannister. I think the key here is telling the story from the character's POV. The switching of POVs helps the reader get into each character's mind in return. I find this bewitching and use this a lot in my writing. This was made by @acousticguitars from Wattpad, who did, I think, an amazing job. She managed to capture the precise essence and atmosphere of the story. If I knew anything about design, that's just the type of cover I would have made. I'm simply thrilled about it. I've often thought about this - what is it, exactly, that makes fantasy such a popular genre? I realize there's more than one answer, but for me, it's the fact that fantasy has no limits. Everything is possible. You can get lost in any world, with any set of rules. And this is an adventure I personally will never tire of. I remember a game I played with two good friends of mine when we were children. Each one of us had her own world, for which she had drawn unique maps and made the rudiments of a language. We created characters that traveled between the worlds - a family from my friend's world could "emigrate" into mine, so to speak. It was a delightful game that took us away from all the tedium of school, chores and our everyday life. Today, two decades later, I'm still playing the game. I'm still the little dark-haired girl with the braids in her hair and eyes shining with curiosity. I'm still creating unique worlds and tapestries of events, characters and plots. I'm still doing hand-drawn illustrations for my books, sometimes together with my children. I don't write fantasy alone. Some of my works are deeply grounded in realism, with no mystical elements whatsoever. My most recent project (currently I have about 200 pages of a first draft) is actually a YA dystopia, and I'm pretty excited about it. But fantasy will always be close to my heart, both as something to read and something to write.